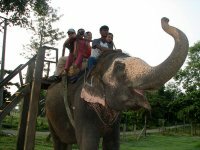 A small country in the political map but nestled in the lap of mighty Himalayas and crowned by Mount Everest- the highest mountain on earth, with rich Hindu and Buddhist cultures and UNESCO recognized historical and natural sites, Nepal offers enormous opportunities for touring and traveling, be it for easy motor vehicle based cultural touring or adventurous hiking and trekking. Far and High offers a range of small group and private trips, adventure and leisure vacations to the travelers of all interest and budget. 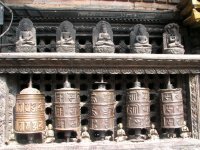 Nepal, although a small country, has diverse places and sights of interests. 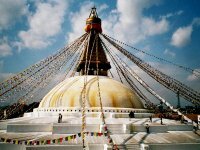 Whether you are looking for history, culture, nature or adventure, Nepal has all destinations for you. Nepal is rich in festivals. If we say that there is a festival almost every other day, we are not exaggerating! 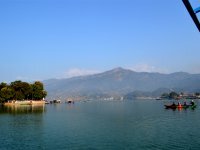 Nepal offers all kinds of accommodation options from budget guesthouses to the high end deluxe properties with all modern aminities. How to Get Nepal and Away. 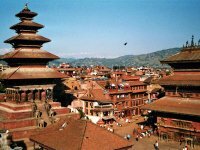 Kathmandu -the capital city of Nepal is connected by air with Bangkok , Honkong, Shanghai , Lhasa, Chengdu, Osaka , Singapore , Dubai , Doha , Abudhabi, Karachi , Dhaka and Indian cities Delhi , Mumbai, Banglore, Kolkatta and Varanasi. Like most other countries, Nepal also requires that remaining validity of your passport must be minimum six months when you depart the country. You also need a dedicated blank visa page for visa stickers and some blank spaces for entry and departure seals. Except Indian nationals, all foreign travelers need visa for entry to Nepal. Nepali currency is called Nepal Rupee and indicated as NRS or simply Rs. Nepalese Rupees exist in denominations of Rs 1, 2, 5, 10, 20, 50, 100, 500 and 1000. Coins are found in denominations of 5, 10, 25 , 50 paisa and Rs 1. One rupee equals 100 paisa. Indian currency is also in circulation of Nepal except the large bills of 500, 1000 and 2000. Travelers are always on the look out of less frequented, untrodden and wilderness areas for their trip. We usually receive requests from our clients that they want to go off-the beaten paths and want to avoid popular touristy areas. But those less frequented or un-trodden areas no longer remain pure. Although you don't need to be an athlete to trek in the Nepal Himalaya, some degree of fitness level is required. The better shape you are in, the more you will enjoy the trip. Trekking is about taking your time, setting your own pace and enjoying the experience to its fullest. Its common that most first-time trekkers are concerned that they won't keep up, but soon discover that a steady pace will have them in camp well before they would have expected. The Seven Mountain Travel Books published by the Seattle Mountaineers, which contains Nepal Himalaya by H W Tilman. Describes the first treks in Nepal in 1949 and 1950.